A couple of months ago, I gave you a glimpse inside my (dream) home. I was thinking that it's high time I invited you back in for a little more of the tour, now that it's looking all light and airy to welcome summertime. No, this isn't really my house (nor was the other tour). But pretending is so much more fun than reality anyway. Happy Monday darlings. I hope you have a glorious week full of creative inspiration. Hi Melissa! Thanks for stopping by In Good Taste - LOVE your blog and this dream house post is gorgeous! I totally want to move into your dream house and read a thousand books in those little nooks. Pretending is way more fun than reality!! 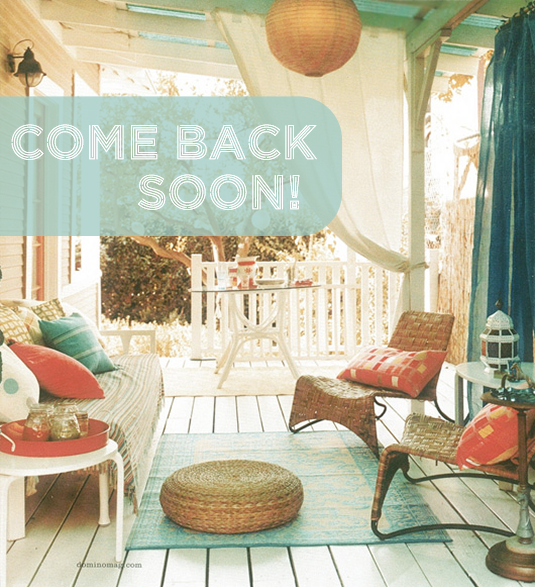 ;-) I love that back porch and the bathroom! So fun and creative! I love to play pretend house!! Those little hideaway nooks are really cute and a great way to add a guest bedroom if you don't really have a separate room. An old friend of mine did that with an awkward little space off the living room that had never been used for anything before. Put in a pretty daybed and a curtain and voila! 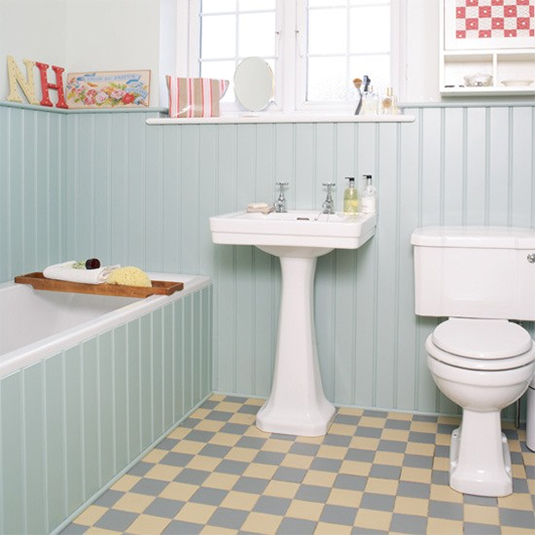 Better than a pull-out sofa to offer your guests a bit of privacy. can i live in your dream home too? i love how light and airy it is! Your dream house has a very Scandinavian interior! 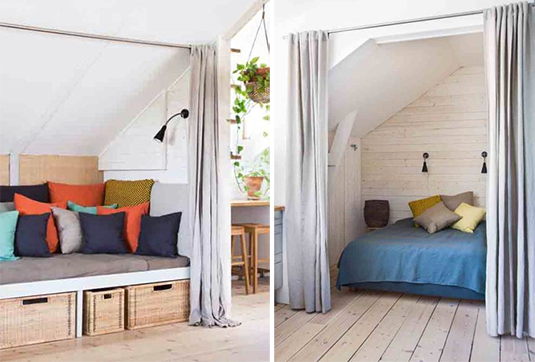 I totally love the crates in the first photo and the overall easy feeling and brightness in all of them. Ah, we have to dream aloud to help our dreams become reality! This post is too funny! I love fantasy land!! 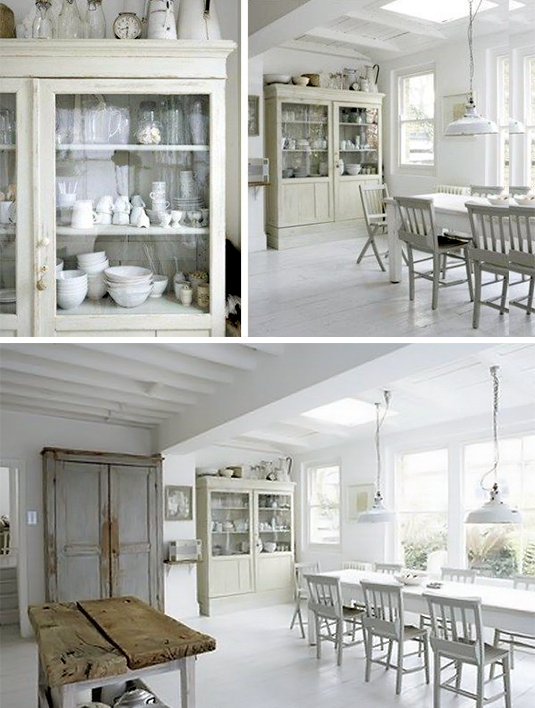 i love these rooms--so light and airy!